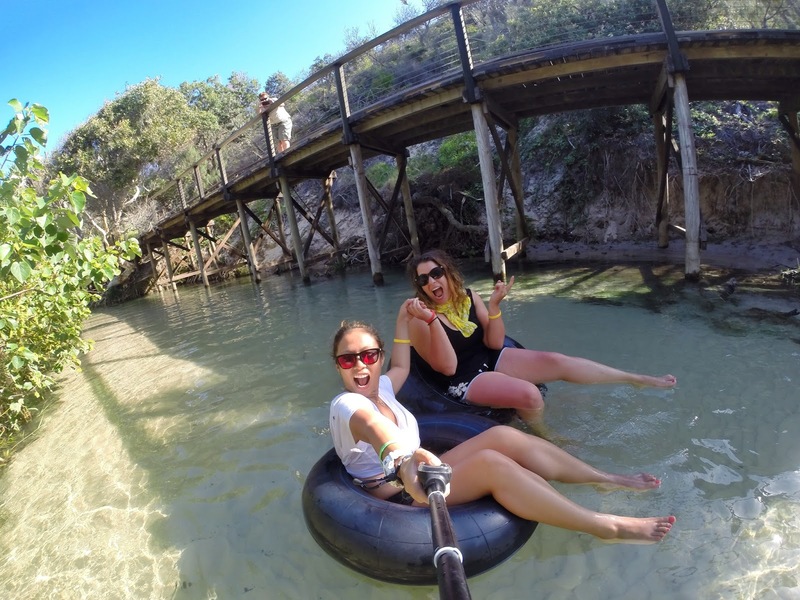 Once you’ve decided to visit Fraser Island, you really can’t lose, but in the spirit of Melbourne Cup Day, we’ve taken a look at the fashion trends and handy tips that can ensure you make your trip to Fraser truly memorable and enjoyable. 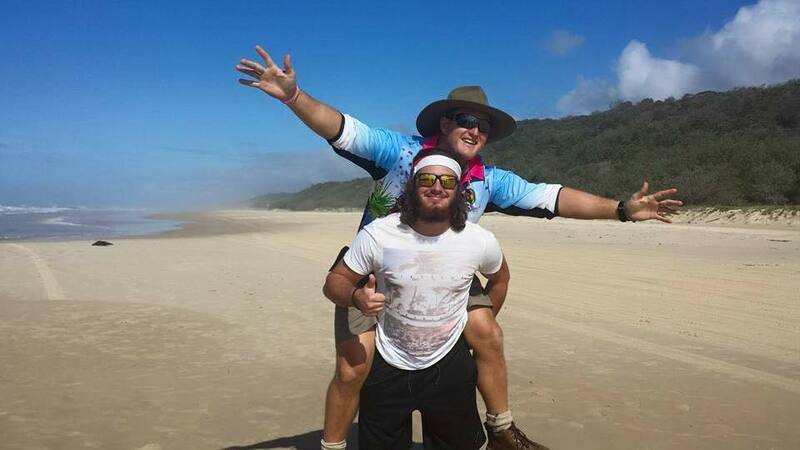 Fashions on Fraser: The attire on Fraser Island is more casual and downright “laid-back”. 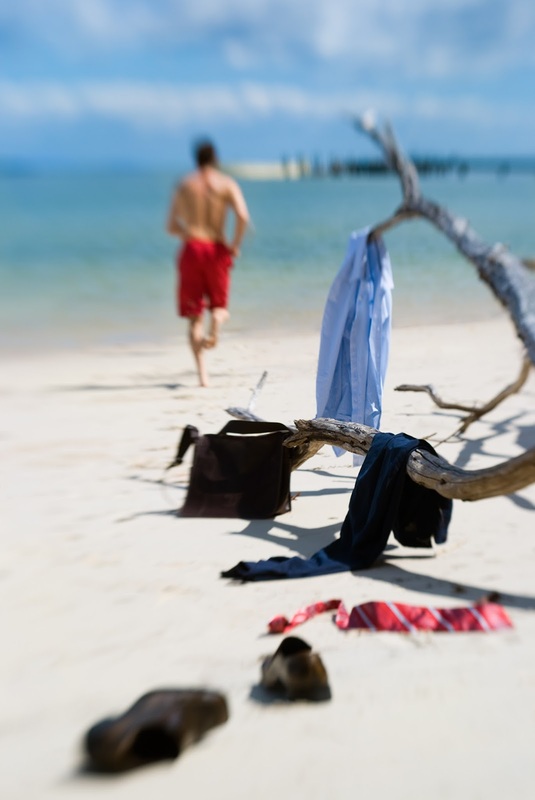 You won’t find any three-piece suits, or ties of any description (unless you’re attending a fabulous Fraser Island wedding) which is a big part of its appeal. 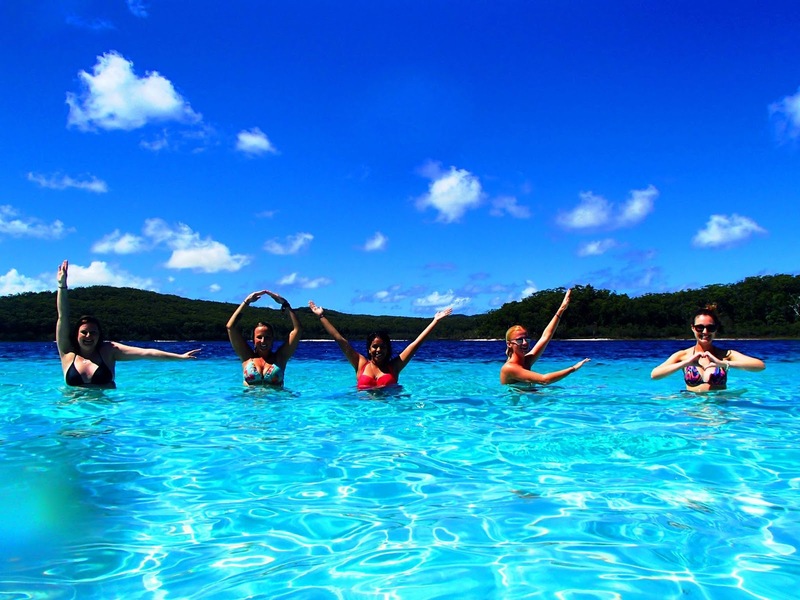 Fraser Island is the ultimate island destination where you don’t have to “keep up with the Jones’s”, there’s no need for high heels or business shirts, work boots or school uniforms- just relax in whatever feels comfortable and enjoy the feeling of sand between your toes. Hats: While Cup Day is traditionally a time for making “statements” when it comes to headgear, on Fraser Island we take a more practical approach. Hats still come in a range of shapes, sizes and colours- you may not see many hats adorned in feathers, but you can find Cool Dingo caps that come complete with dingo ears, and Akubras so cool they’ve gained their own fan base! Spring Carnival: In Victoria, sports fans fill the month between the footy Grand Final and the first International Cricket Test with a mix of motor sport and racing events- here on Fraser Island, we host a Spring carnival all of our own- which includes the annual “Whale parade” where thousands of Humpbacks arrive off our shores and put on an incredible display frolicking in the calm waters of Hervey Bay. Our famous Fraser Island dingoes are also usually in pup during the September/October months, meaning mums and their litters are taking their first big steps out of the den. Our native trees and flowers come into bloom, filling the island with fabulous colours and offering plenty of tasty treats for the island’s wildlife. Horsepower: When you holiday on Fraser Island it doesn’t matter whether you know your sprinters from your stayers, but when it comes to getting around the world’s largest sand island horsepower matters. With 1500 kilometres of sand tracks, Fraser Island national park is only accessible by 4WD vehicles with a higher level of clearance to navigate around the island. 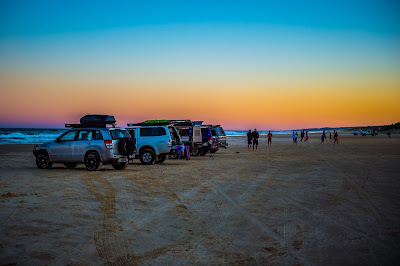 If you don’t own a four-wheel drive, or aren’t comfortable driving around the rugged island tracks, the team at Fraser Explorer Tours and Cool Dingo Tours have got your covered, with their mega 4WD buses- you’ll see all the most amazing spots on Fraser Island and not have to worry about driving! Champagne pools and lots of bubbles: While the punters on Cup Day sip on glasses of bubbles, Fraser Island has its own answer to the fountains of Moet that won't leave you with a crippling hangover! 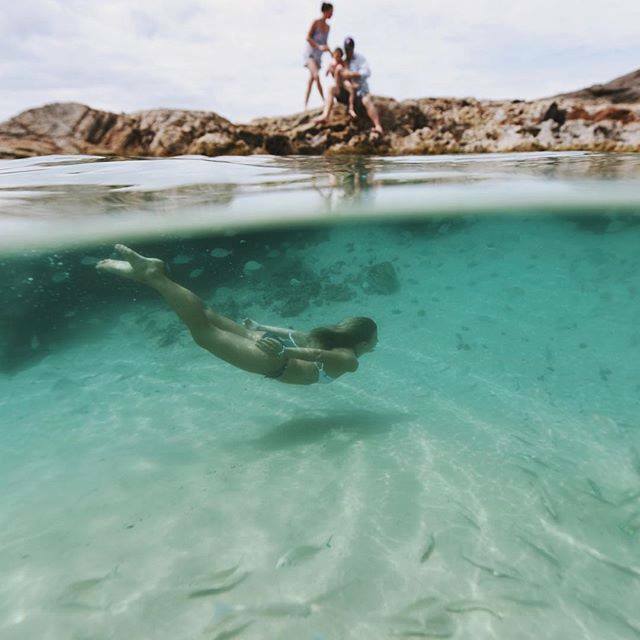 Located on the northern end of 75 Mile Beach, Fraser Island's natural rock pools at Indian Head bubble and fizz as the waves crash onto the shore. Known as Champagne Pools, these amazing natural spas are one of the best places to take a dip on Fraser. 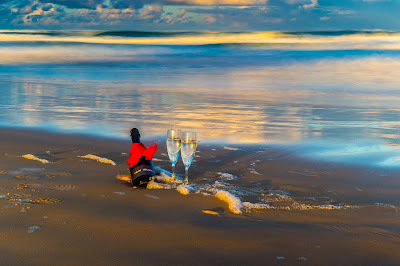 Fraser Island’s nightlife: No matter whether you’re camping on the sand dunes, enjoying the creature comforts of a resort hotel room, or nestled amongst the treetops in a self-contained villa or house on Fraser Island, you only have to step outside once the sun goes down to discover that the island has a pretty amazing nightlife full of nocturnal creatures. 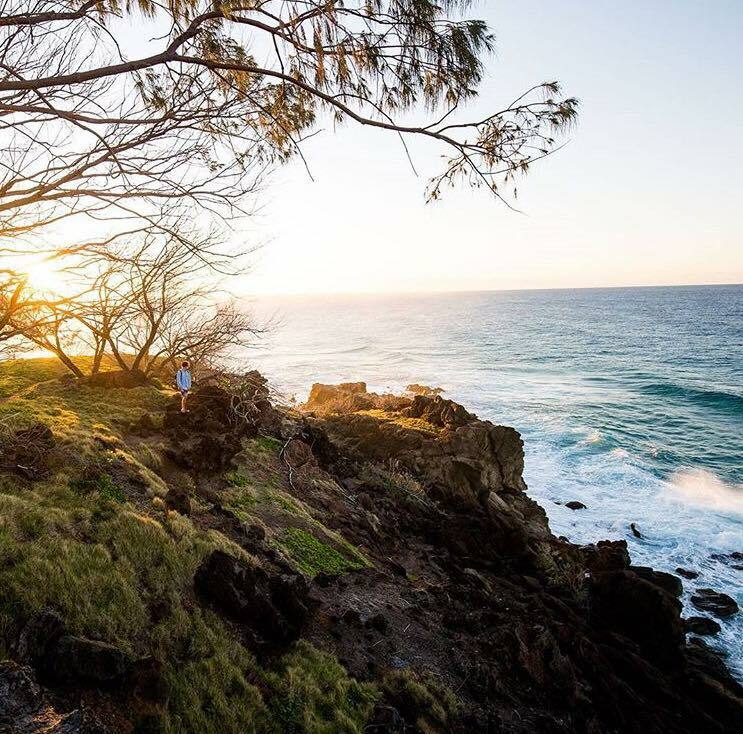 If you’ve ever wondered what the marine life get up to after dark, or you’re keen to find out where some of the island’s critters are lurking, you can join a ranger fora night walk at Kingfisher Bay Resort. Of course, if you’re keen to know all the best spots to kick on and enjoy a drink on Fraser, Eurong Beach Resort’s Beach Bar and new-look McKenzie’s Bar are located on the Eastern surf side of Fraser. 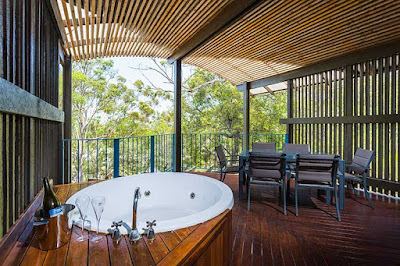 On the Western side, Kingfisher Bay Resort has four bars and restaurants to suit every age and taste from stunning bush tucker cocktails, sensational food and an impressive wine list at SeabelleRestaurant, to bubbles at the aptly named Sunset Bar and poolside cocktails at the Sand Bar and Maheno Bar and Restaurant. 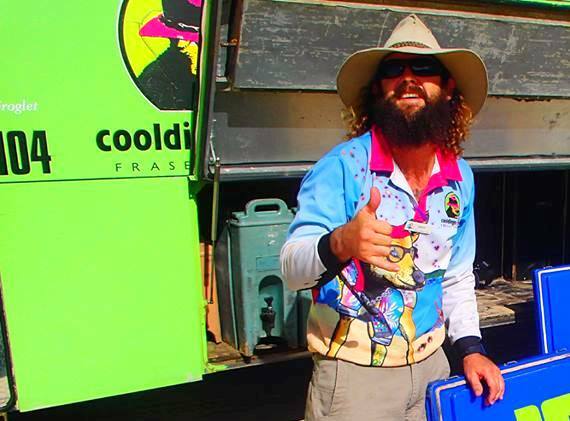 There’s even a purpose-made bar- The Dingo Bar- for Cool Kids’ on a Cool Dingo Tour. 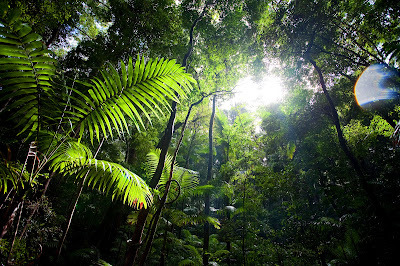 It’s been a month full of new discoveries here on Fraser Island. Earlier this month researchers discovered what is believed to be Australia’s longest living dingo right here on the world’s largest sand island. The dingo, aged 13 years old, was discovered as part of a long-term study by researchers from the University of Southern Queensland. 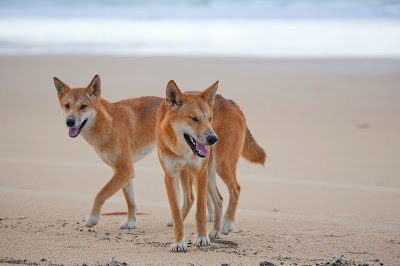 The same study found that there are approximately 100 to 200 dingoes living on Fraser at any given time, and despite their ‘skinny’ build, the population of Fraser Island’s most iconic species actually weigh more on average than their cousins on the mainland. The same study looked at what dingoes typically ate, and the short answer is almost anything. From fish to bandicoots, to beached whales, even skinks and insects; the study found that dingoes will chew on just about anything- including one case that discovered an iPod, beer and soft drink cans. One of the more surprising discoveries for researchers were evidence that eastern grey kangaroos, feral pigs and even wild horses showed up on the menu which leads us to our next discovery; that brumbies that are also still believed to be living on the northern parts of the island. Queensland Parks and Wildlife Service confirmed that brumbies had been filmed on motion activated cameras that were set up around the island to monitor dingo behaviour. The species was reportedly introduced to the island during the 1800s and were targeted for removal by the Environmental Protection Agency in early the 2000s. For the last 10 years it was assumed there were no horses left on the island- until the footage was discovered by park rangers in 2014. Another species being caught on camera by recent visitors to Fraser Island is seemingly easier to catch than the wild brumbies- and definitely easier to find! 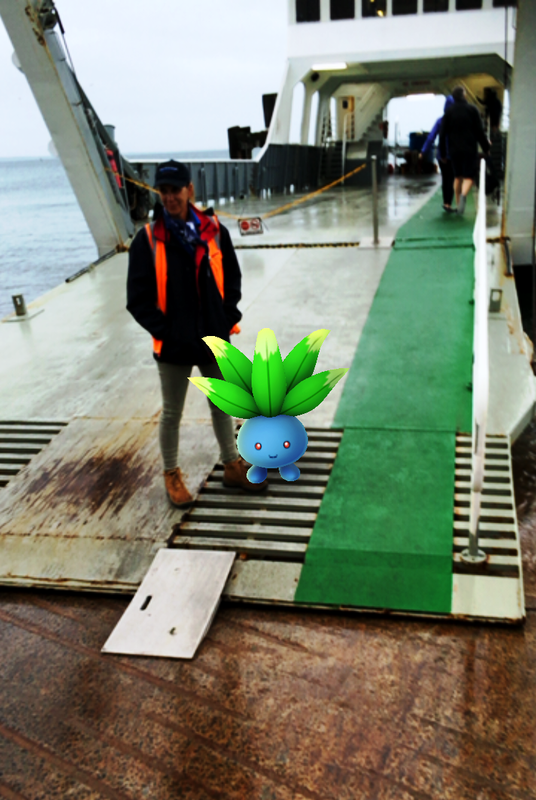 Yes, Pokemon have invaded Fraser Island - with the animated creatures popping up everywhere from Eurong Beach Resort, to Kingfisher Bay Resort, even emerging on the Fraser Island barge! 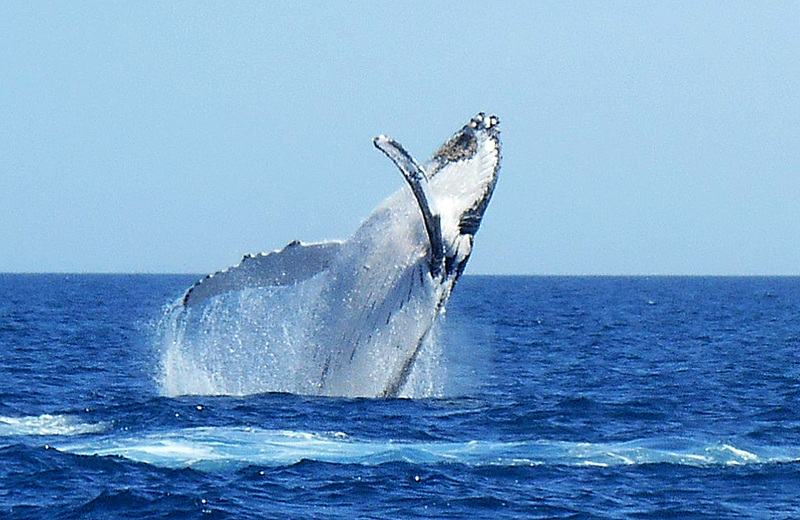 The final discovery was the welcome arrival of the first pods of southern right humpback whales that have come to enjoy their annual holiday in the calm waters off Fraser Island. Mothers have been arriving into Hervey Bay to feed their calves and enjoy some “down time”, while juveniles are ready to party and socialise. Pods will stay and play in Hervey Bay before they start their southern migration back towards Antarctica in October. 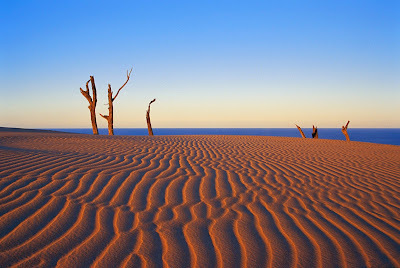 There’s always something new to discover on the island, and with dingo pups on the way around September, tailor season running through to November and more than 1500 kilometres of sandy tracks to explore, you’ll make discover a million reasons all of your own to fall in love with Fraser. Winter is coming and on 75-Mile Beach that means one thing: tailor season. 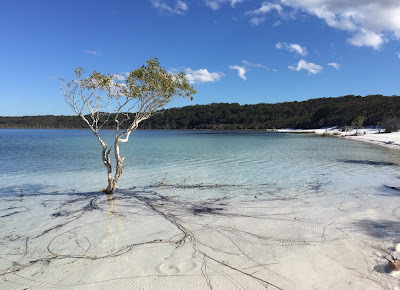 Each year massive schools of tailor head north to breed in the warmer waters off Fraser Island. From June to November keen anglers from all over Australia can be found dotted along the shoreline, taking advantage of some of Queensland’s best beach fishing conditions. With the first few tailor of the season arriving in recent weeks, numbers will steadily build over the coming months reaching peak fishing season during September and October along the island’s northern regions. Of course, we humans aren’t the only species looking to make a meal out of tailor season, a small fresh tailor can also be used as bait to attract larger fish, with good-sized mackerel often found in the area during tailor season. As it is breeding season, bag and size limits do apply and there are restrictions between Indian Head north to Waddy Point in place from August 1 to 30 September each year to allow the fish stocks to naturally replenish. While there’s nothing quite like the musty combination of salt air, fish guts and beer to make your fishing trip complete - even the most seasoned anglers will admit after a long day fishing there are few things better than a great feed and a hot shower. If you’re searching for the ideal place to base yourself on Fraser, there are few better than Eurong Beach Resort. With hot buffet meals, two bars, a bakery, a general store full of supplies and great room rates, it offers all the comforts of home – and a chance to watch the footy- without the hassle of camping. 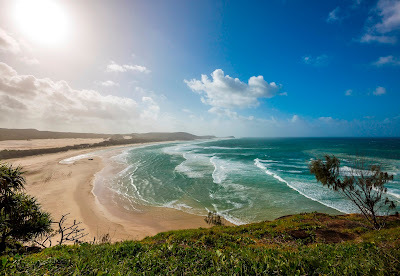 Positioned right on the beachfront of 75-Mile Beach, Eurong is a great place to relax and swap a few stories and- if you’re lucky- pick up a couple of tips from the locals, It’s also a perfect hub for any 4WD adventure, offering easy access to Fraser Island’s most popular spots (and few lesser known gems). 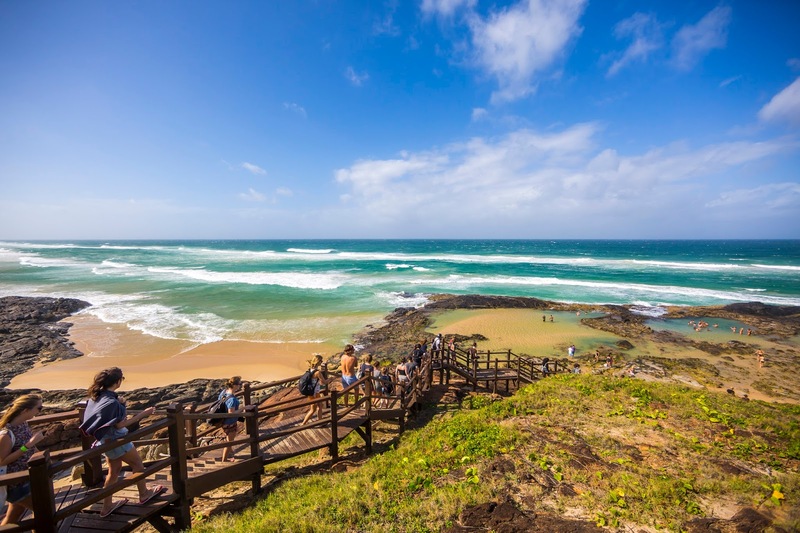 So if you’re gearing up for your annual pilgrimage to Queensland’s home of tailor fishing, grab your mates, your rods and some bait and make tracks to Eurong Beach Resort, on Fraser Island. 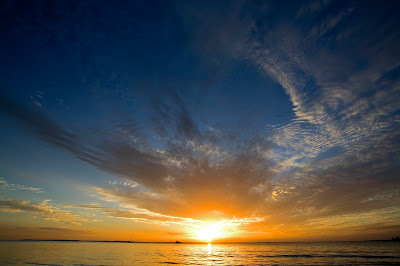 As the first glimmers of the sun rise over the ocean, waves lap onto the shore, a pre-dawn chill hangs in the air. Locals, visitors, rangers and emergency servicemen and women gather at Waddy Point to pay their respects to those that fought and sacrificed their lives in the line of duty at a special ANZAC service. 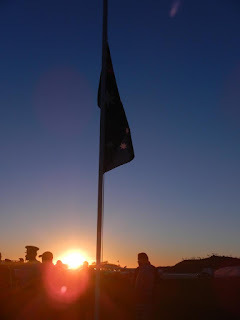 The ANZAC spirit is strong on Fraser Island and each year people gather near the beachside campground for what has become an annual tradition officiated by members of the Orchid Beach RSL, a sub-branch of the Wide Bay Burnett District. One of the local organisers John Quincy said the first service 25 years ago, attracted a crowd of about 20 people. Last year saw record numbers of approximately 600 people attend the beachside service. “It’s a big logistical effort, when you take into account our remote location,” he said. “There’s a lot of people that help out and a lot of work that goes into the day. Following the dawn service at Waddy Point, organisers cook up a hot breakfast and hold traditional games of Two-Up throughout the day- a $20 donation covers costs of breakfast, local fish and chips and sandwiches throughout the day. Fraser Island’s beaches are also one of the best vantage points to see the RAAF annual ANZAC Day fly-over. While Fraser Island is most well-known for its incredible natural beauty, the World Heritage-listed Island also has a unique place in Australia’s military history. 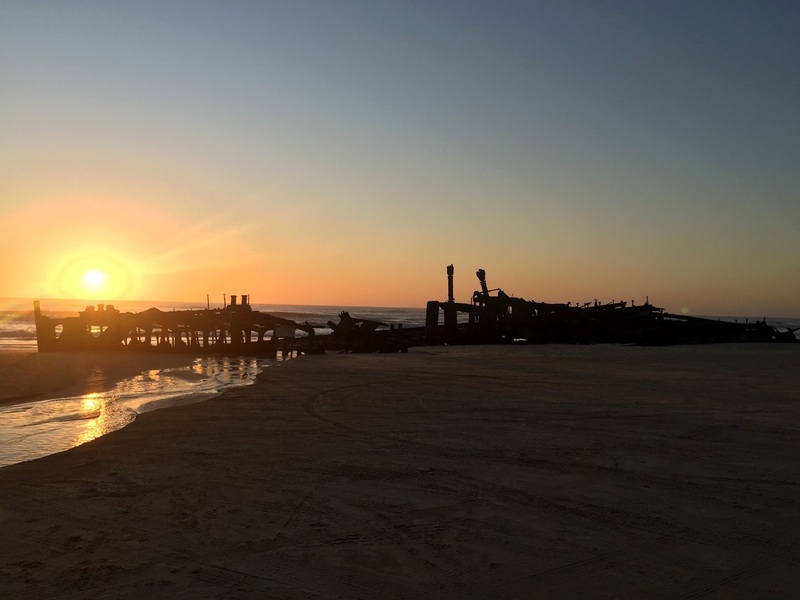 Each year tourists flock from all over the world to visit the famous Maheno shipwreck, which ran aground on Fraser Island’s Seventy Five Mile Beach during a cyclone in 1935. Built in Scotland in 1904, the 5323 tonne ship was initially used as a passenger ship which sailed between Australia and New Zealand. In 1915, the SS Maheno converted to a hospital ship was used for the next five years in treating and transporting Allied wounded from Gallipoli and the Western Front as part of the First World War effort. The Maheno played a role in transporting Allied troops from Gallipoli to safer facilities and brought wounded soldiers back to Australia and New Zealand. Marking its centenary last year, hundreds of people travelled from as far away as New Zealand to Fraser Island’s Eastern Beach to lay flowers and remember the fallen in a special service held at the site where the Maheno now sits. For those looking to take advantage of the long weekend to explore Fraser Island and attend ANZAC Day services, Eurong Beach Resort is an excellent base with direct access on to Seventy-Five Mile Beach, as well as the island’s many freshwater lakes and walking tracks. 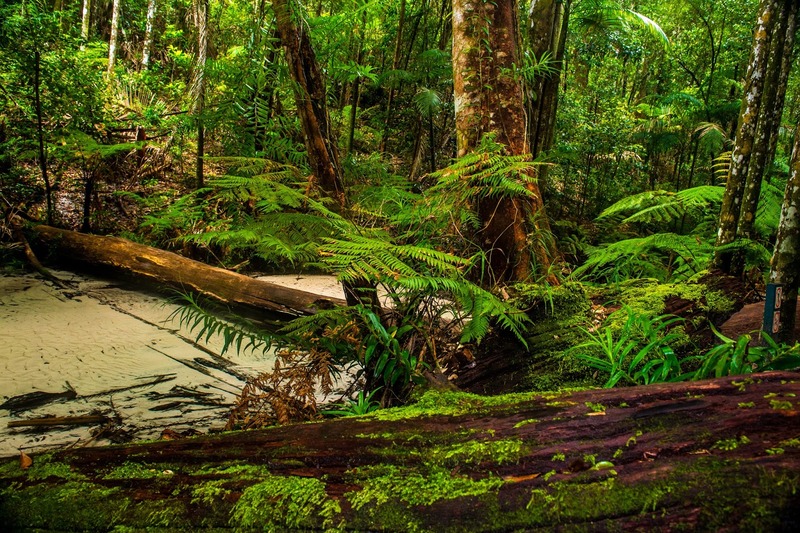 So if you’re looking for a truly unique, traditional ANZAC weekend experience, mark the date and make tracks to Fraser Island. I’ve done plenty of brave things in my time. I’ve jet skied across the Great Sandy Strait (between Fraser Island and Hervey Bay), gone swimming with Whale Sharks in Western Australia, and abseiled down cliff faces in Victoria. 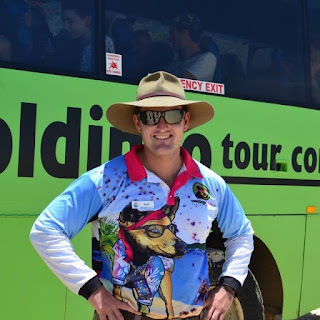 So, when I booked myself on to one day of a three-day Cool Dingo Tour to see some of the beautiful K’gari (Fraser Island), I thought I was just sticking to the theme. The term ‘backpackers’ has long been one that frightened me. It’s up there with spiders, Great White Sharks and clowns. But, as is usually the case when fear-facing, my expectations were wildly exceeded. I even learnt a thing or two along the way. With Jarred our tour guide at the helm, the engine roared and before I knew it, the blue Cool Dingo bus was bouncing through K’gari’s offroad tracks smoother than any 4WD I’ve had the pleasure of driving. Lesson one: You’d be surprised at just how much ground you can cover in a bus. We managed to visit the Maheno Shipwreck, The Pinnacles, Champagne Pools, Indian Head and Eli Creek… and a couple of extra little secrets that only a tour-guide could know. It’s a great, stress-free way to see the island. Plus, if you get bogged, you’re not the one having to dig out the tyres… in the middle of a rainstorm… with a busload of people watching! To my surprise, the bus was quieter than a sunrise at Kingfisher Bay. There were no crazy drinking games, no obnoxious yelling, and no stopping for road-side post-bender-emits. The night before had been a late (or early?) one for my fellow travellers, or Cool Dingoes as I called them. Lesson number two: Young, international travellers know how to party their way through the night and sleep on an off-road bus during the day. If the ability to speak three different languages didn’t impress me, this certainly did. To be honest, the lack of animation threw me a little. I’m not sure if I was disappointed or relieved. Does it still count as brave if they were lovely and placid? At least it gave me plenty of time to listen in on the conversations happening through the bus. Those Fraser Island worms are man-eaters. Watch out! 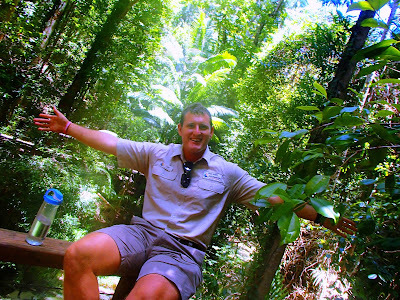 Lesson three: First time visitors to Australia are afraid of everything, because ‘Straya! This makes for a whole lot of fun for us locals. The beaches surrounding a lot of Fraser Island aren’t meant for swimming and the Cool Dingoes had been warned of the risks: rips, jellyfish and sharks. So when they saw a woman dip her toes into the cool blue waters, they (hilariously) feared for her life. Of course, they had to check my theory once I explained it was still just ocean – not acid water – and toe-dipping probably wasn’t going to kill anyone. Shoes went flying and feet were in the water faster than you could say “Bluebottle Jellyfish”. Until I pointed one out, that is. Then it was like watching it all in rewind. Maybe they were being sensible, or maybe it was because I told them the jellyfish were deadly; we will never know for sure. (Note: Bluebottle Jellyfish don’t kill, they just sting for a bit). 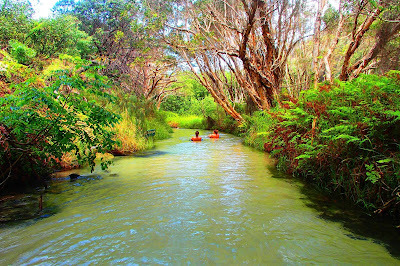 Take two of the games happened at the beautiful Eli Creek, one of my favourite spots on the island. As any good traveller would, I reassured them they were perfectly safe and answered all their “will this kill me?” questions. I did, however, warned the Cool Dingoes of the piranhas hanging out around the bend. Cue screams. Lesson four: Travellers will believe anything you tell them. I did tell them the truth, eventually. (Note: There are no piranhas in the waters on Fraser Island. Just shiny little fish that don’t like eat humans… most of the time). You'll find lots of laughs and plenty of new friends on Fraser. And so we come to the final lesson. 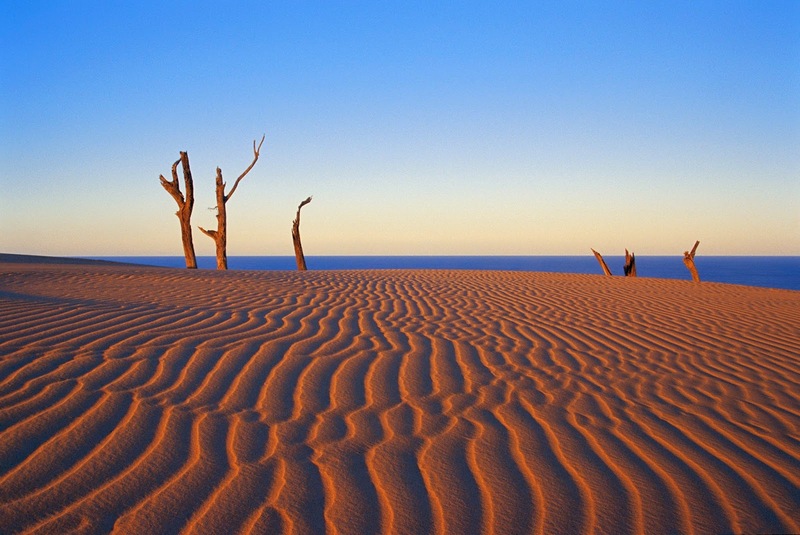 The best thing about travelling on a Cool Dingo tour is meeting people from all over the world and seeing this beautiful part of the country through their eyes. We tend to take Australia’s wonders for granted, so to experience K’gari (which is a special kind of amazing) with a fresh perspective makes it even more extraordinary… plus, we get to have a bit of fun along the way. Meanwhile, I’m going home to tick that fear right off my list. Would I book myself onto a Cool Dingo tour again? You betcha. Well, that is until I’m over the age threshold and I can’t convince anyone otherwise. Meet you at the Dingo Bar. 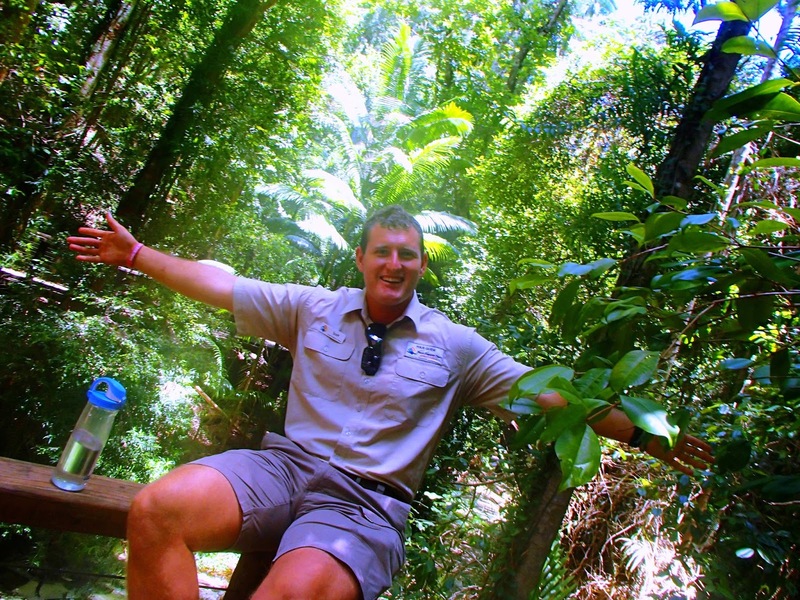 Five COOL reasons to book yourself into a Cool Dingo Tour on your next trip to Fraser Island. Backpackers just want to have fun. They know how to let their hair down and they’ll force you to do the same. The tour guides know their stuff. I’ve been to the island a couple of times and I still learnt a bunch of facts and secrets I never knew before. You get to see some of K’Gari’s hidden surprises. When time permits, the guides will happily show you their favourites. Without them, you might miss out on some pretty cool sights – like the skeleton of a whale. The island is only open to four-wheel drives, so if you don’t have access to one, the tours are a safe, easy, and affordable option. Plus super-efficient and quick – they always have right of way. 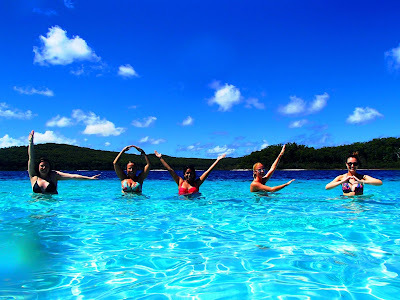 You get to really experience Fraser Island as an Australian and as a visitor, and make some new friends while doing so. We're guessing Anna's already planning her next trip back. This story was written for Life on Fraser and Cool Dingo Tours. When Anna's not testing the mettle of her four-wheel-drive on Fraser's sandy highways, you'll find her behind a desk editing the brand-new Whichcar.com website - CHECK IT OUT!, writing for 4x4 Australia and Instagramming like a boss.